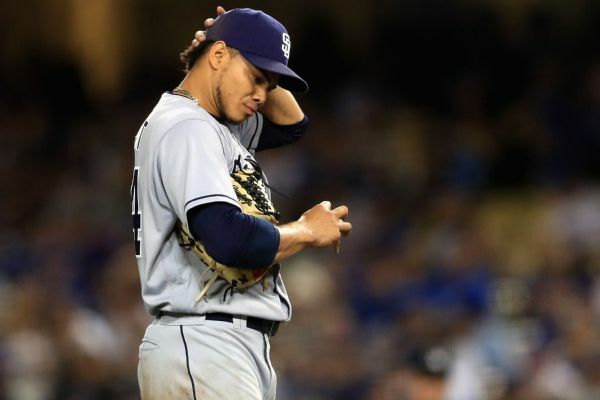 After just one season in the Major Leagues, Padres right-handed pitcher Dinelson Lamet will undergo Tommy John surgery to repair a torn ulnar collateral ligament in his throwing elbow. Lamet, 25, began the 2018 season on the disabled list after exiting his final spring training start in March with a then-undisclosed elbow injury. The Padres’ original assessment of Lamet’s elbow was that it suffered no structural damage. Eight days later, he received an MRI, the results of which the Padres did not make immediately available. Kevin Acee of the San Diego Union-Tribune reported today, however, that the MRI revealed a tear substantial enough to require surgery. Despite this diagnosis, Lamet persisted with efforts at rehabilitating his elbow, and was seen throwing first from a knee, then from distances as long as 90 feet. Some viewed this as encouraging signs that pointed toward potential for Lamet to return at some point this season without surgery. Now, though, it seems clear that those throwing sessions were more likely a last-ditch rehab effort before he made the decision to get his arm fixed, a decision that he made and announced earlier today. The typical recovery time from Tommy John surgery is 12-15 months, slating Lamet to return to the Padres late next spring at the earliest. His injury is the latest of a rash of arm issues for Padres’ pitching prospects. 20-year-old right-handed pitcher Anderson Espinoza, then-Padres number one prospect, underwent the procedure last summer. Espinoza has yet to return to competitive play. Additionally, right hander Chris Paddack underwent the same procedure in 2016 after suffering the same injury as Lamet and Espinoza. Paddack, ranked number eight overall as a Padres prospect at the time of his surgery, began the 2018 season with the Padres’ single-A affiliate in Lake Elsinore. 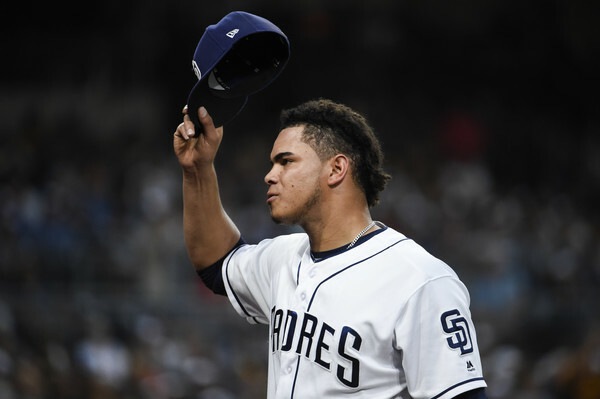 Lamet is widely regarded as one of the Padres’ centerpieces in their rotation moving forward. He posted a 4.57 Earned Run Average in 21 appearances last season for the Padres, and showed significant upside. In the final two months of the season, he posted a 3.49 ERA with 61 strikeouts in 56 2/3 innings of work. According to Dennis Lin of The Athletic, Lamet’s surgery is to be performed by Dr. Keith Meister sometime next week.